This colored diamond is simply breathtaking. 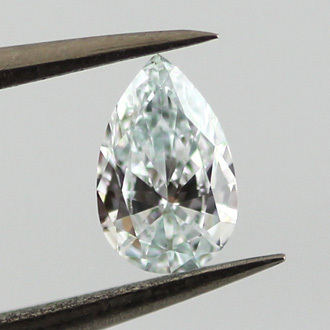 Perfect quarter of a carat Fancy Light Bluish Green Diamond with GIA certificate and a rare vs1 clarity grading. The meaning of the color is that it is a green diamond with a secondary slight tone of blue - a turquoise. Just watch the video and see, every additional word is unnecessary.